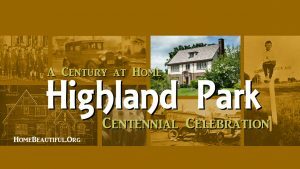 The date is set for the Highland Park Centennial Celebration. Neighbors old and new will gather for a picnic in Virginia Park on May 4th, 2019, from 11 AM to 3 PM. The memories are on us.